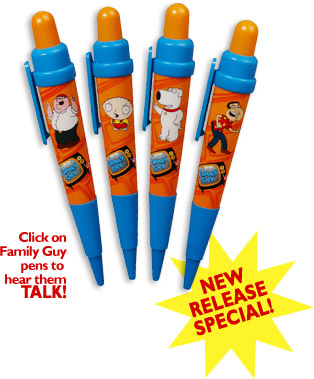 Listen to your favorite Family Guy characters any time you want simply by clicking the top of this pen. Each character pen says 6 different lines from the hit Fox TV show Family Guy. You can hear Stewie, Brian, Quagmire and Peter spout one-liners in high quality audio. 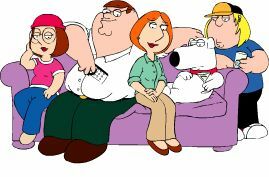 Click, listen and enjoy your favorite Family Guy quotes any time you want.